Ministry also says the north has specialized battalion for assassination of key figures. The Defense Ministry does not directly refer to North Korea as an enemy and takes a less hostile tone toward the communist state in its 23rd white paper published Tuesday. 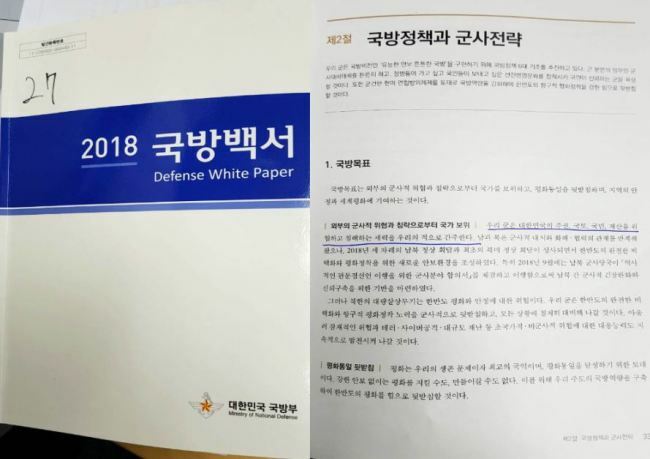 The ministry’s latest biennial white paper — the first to be published since the Moon Jae-in administration came to power in 2017 — addresses security threats, military policies and the regional security environment. The white paper defined the term “enemy” as a force that threatens and encroaches on the sovereignty of the Republic of Korea, and later said that North Korea’s weapons of mass destruction constituted such a threat, but it stopped short of explicitly labeling North Korea as an enemy. North Korea largely appears to have maintained the status quo in terms of its nuclear capabilities, according to the latest white paper. 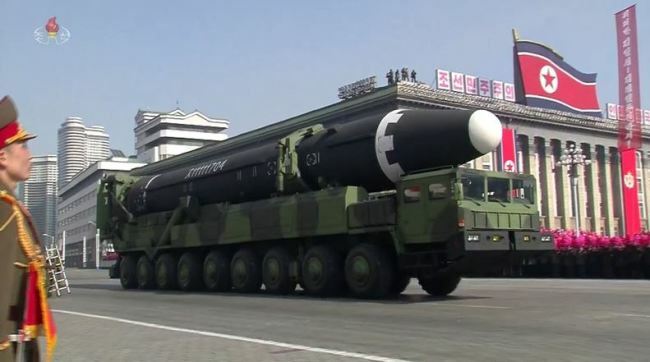 The ministry also estimates that North Korea has some 50 kilograms of weapons-grade plutonium — sufficient to manufacture 10 nuclear weapons — the same amount stated in the 2016 white paper.